You have to do it, why not do it with us? Experience live theater while learning and discussing legal ethics. Southwest Shakespeare Company actors perform specific legal scenes from Shakespeare’s The Merchant of Venice. A highly active presentation coupled with an interactive panel discussion lead by local legal professionals and Curt Tofteland, the renowned founder of the esteemed Shakespeare Behind Bars program. The lively discussion is unique in its inclusion of actors, lawyers and students attending the program! Price goes up in May, so book your seat now! Class includes three CLE legal ethics credits with certificate, materials from the class, and a live performance of scenes from The Merchant of Venice. Peoria residents, their families, and friends are invited to join us in Centennial Plaza (located behind Peoria City Hall) for an evening of fun for the whole family. There will be food available for purchase, face painting for kids, and much more. Bring thy family, blankets and chairs for Shakespeare in the Park. Julius Caesar tells the story of Julius Caesar and his betrayal by his friend Marcus Brutus. 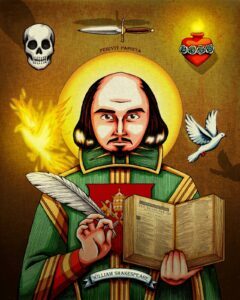 It features many of Shakespeare’s most memorable quotes such as “beware the ides of March” and “Et tu, Brute?” Set in ancient Rome, it is a classic Shakespearean tragedy. You’ve never experienced Shakespeare quite like this! Showtime is at 7:30 p.m. Sponsored by Southwest Shakespeare Company and the City of Peoria. 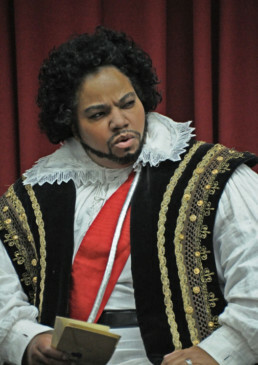 Debra Ann Byrd, the founder and Artistic Director of the Harlem Shakespeare Festival leads an all-female cast as the title role in Othello, the Moor of Venice. This unique vision of one of Shakespeare’s most famous plays about jealousy, intrigue, and betrayal is brought to the stages of Scottsdale as you’ve never seen it before. Do not miss this once-in-a-lifetime production, straight from New York City. This play will run 90 minutes with no intermission. This adaptation of eight of Shakespeare’s history plays concentrates the bloody civil war between the houses of Lancaster and York, both vying the English throne, into one evening of thrilling, theatrical battle. 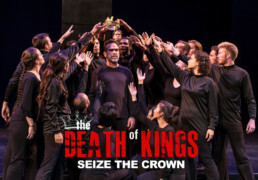 Adapter and Director, Irwin Appel and his troupe of actors from UC Santa Barbara bring new life and a new vision of these classic plays to the Southwest Shakespeare Company. This play will run 90 minutes with no intermission. 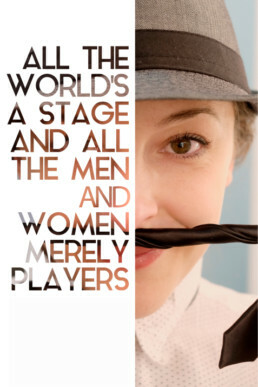 One of Shakespeare’s most famous comedies, As You Like It, bursts at the seams with life and music as the great heroine of the story, Rosalind, leads a cavalcade of comic characters into the Forest of Arden. Shepherds, Clowns, Lovers, and Fools people Shakespeare’s romantic landscape and fill it with wit, joy, and lots of laughter! This play will run 2 hours 20 min with a 15 min intermission. 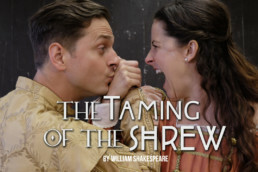 Shakespeare’s hilarious and challenging comedy about two opposites who attract, pits Katherine “the Shrew” against her would-be husband, the swaggering swain, Petruchio in this ultimate battle of the sexes! He wants her money, she wants nothing to do with him, neither expected to fall in love. Our new vision of this classic work will star Southwest Shakespeare Co’s real-life husband-and-wife artistic directors, Quinn and Betsy, in the lead roles! This play will run 2 hours 20 min with a 15 min intermission.